A stunning table lamp which takes as its basic form a sphere that is perfectly balanced on the edge of a rod. This collection explores balance. There is a series of lights: table lights, wall lights, ceiling pendants and ceiling mounted lights which take as their basic form a sphere that is perfectly balanced on the edge of a rod. The acronym IC, for example, refers to the Identification Code used by the British immigration agency to classify the country of origin of immigrants entering the United Kingdom. 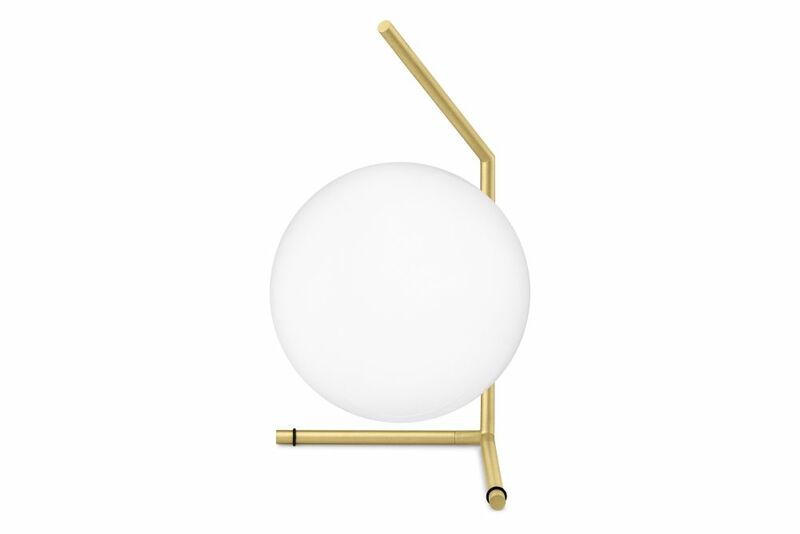 Therefore, with the design of this lamp, Anastassiades comments on the precarious equilibrium of identities, reflecting on the delicate balance inherent in one’s condition as a foreigner, in a life intent on not rolling away, just like a sphere on an inclined surface. Anastassiades often makes forays into the borderland between design and contemporary art. His philosophy aims at the creation of objects that can produce a permanent value, always at the frontier with artwork. His designs and things originate from a philosophical but also poetic process.